Tobias & Berman were iron founders, and their business was listed in the New York City telephone directory at 158-160 Avenue D from 1906 to 1907. For about a year earlier the foundry was located on Lewis St. downtown on the East Side. This ad for Tobias & Berman appeared in Trow's New York City Directory in 1906. In 1908 the business name changed to Tobias Iron Works. Then in 1910 they moved to Webster Ave. in the Bronx, and the name changed to the Webster Iron Works. The Webster Iron Works was in business in the Bronx until around 1917. The proprietors at Tobias and Berman were Morris Tobias (1878-?) and Barnet Berman. Barnet Berman has proven an elusive subject. His name disappears from directory lists after 1909. Morris Tobias was born in Russia and immigrated to the U. S. in the 1890s. His registration for the World War II draft in 1942 says he was born 20 March 1878 in Shepetovka, Russia. Shepetovka is currently (2014) called Shepetivka and is located in northwestern Ukraine. 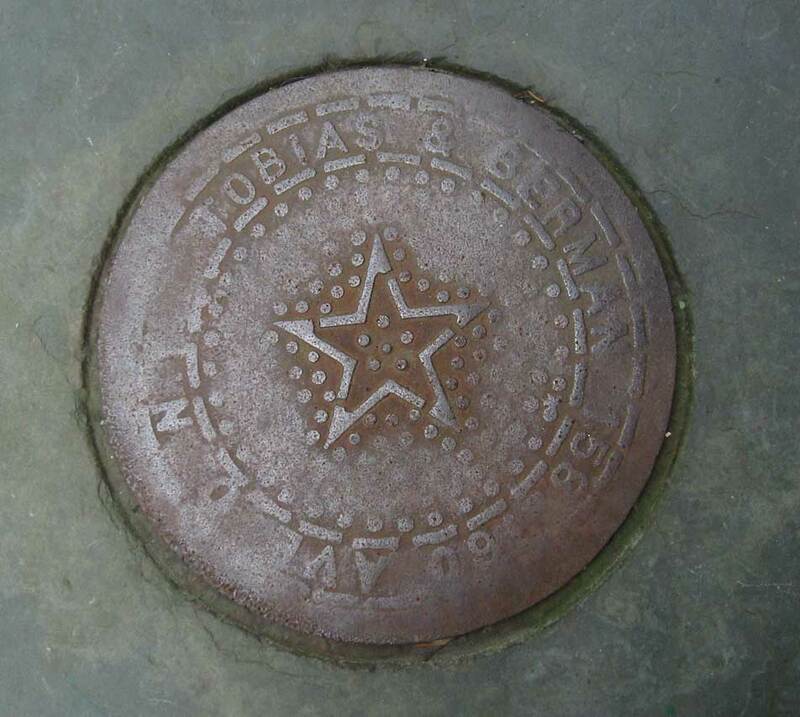 Another Tobias & Berman coal chute cover is found at 220 Wadsworth Ave., New York City.